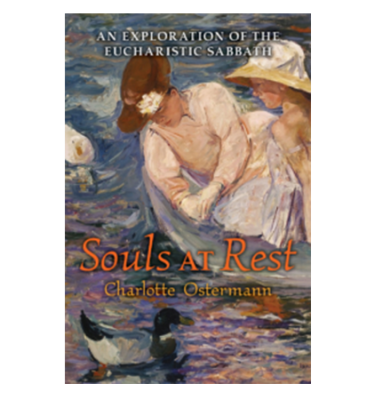 A reference for both Catholics and non-Catholics, this book explores the heart of the Catholic faith through an illumination of the seven sacraments, evaluating the sacraments as milestones on a spiritual journey of a life in union with God and dedicated to holiness. This book is currently out of print, and therefore quite scarce. History presents only a handful of books that disclose the Christian mysteries with the requisite piety and fear of the Lord ñ and yet capture the minds and hearts of readers with such boldness and brilliant clarity. 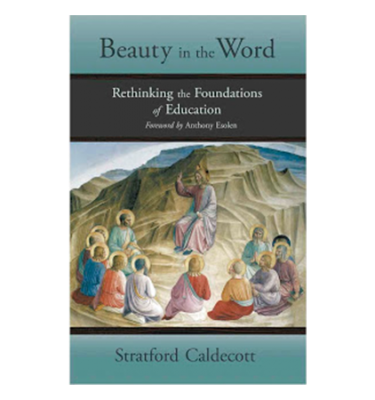 Stratford Caldecott goes bravely into the mystical depths of Christian life and takes his readers with him, eyes wide open. There are no shortcuts to the mystical life, but this book is an overwhelming enticement, and that might be half the battle. This book identifies a pressing need – the need for post-baptismal catechesis, to help Catholic Christians to enter the faith they possess at a new level of depth. It assumes what can never be taken for granted, namely that they are already well-instructed doctrinally and familiar with the Scriptures and the Liturgy of the Church. It proposes that even this is insufficient – judging by the spiritual literature passed down to us from the patristic, medieval and later periods. The capacity to discern relationships between creation, redemption, and the revealed Names (or attributes) of God is dependent, yes, on what we receive from Scripture, sacraments and the wider tradition of the Church. But it is also something that develops mystagogically – in line with our own entry in depth into the mysteries the faith presents to our gaze. Stratford Caldecott has the poetic sensibility and the metaphysical audacity we would expect from a Christian Platonist – for it is in that succession that I see him, a combination of Dionysius the Areopagite in the age of the Fathers and the Oxford Inklings in our own. The Seven Sacraments is a magnificent achievement, a brilliant and gripping presentation of Christianity and its sacraments as a spiritual Way, a path to holiness, an entry into life in union with God. Caldecott explores a dazzling array of subjects – the Lord's Prayer, the seven days of Creation, the souls of animals, the Kabbalah's Tree of Life, and much, much more – with the mind of a poet and the heart of a metaphysician. His conclusions are surprising, exciting, and always fascinating; this book is, among other things, great fun to read. 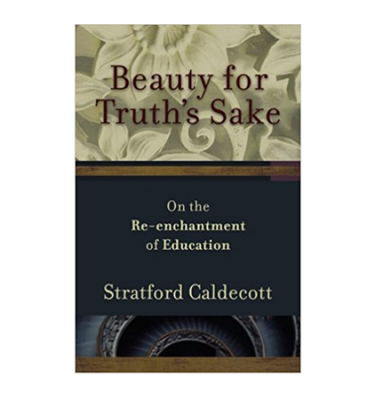 In sum, Caldecott has written a work of intense interest to all spiritual seekers, indeed to all who ponder the ultimate meaning of human life. Doing for Catholics what Dallas Willard has done for Protestants, Stratford Caldecott has written a really useful book on Christian discipleship. 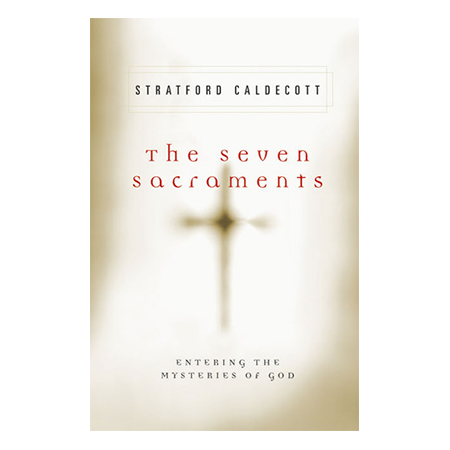 Numbering the sacraments and the virtues is the easiest way of learning them by heart, and Caldecott shows us how. Caldecott's focus on the pattern and form of Christian sacramental life presents the liturgy on a deep imaginative plane. This is a book whose practicality is rivalled only by its profound spirituality. 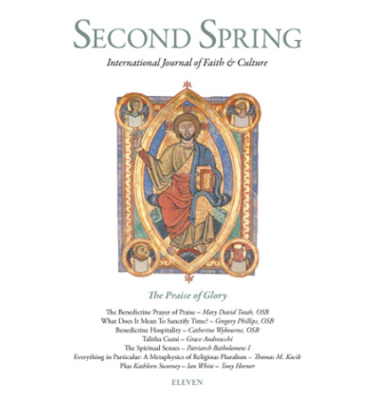 This research into the spiritual meaning of Holy Scripture follows the lines of the allegorical interpretations of Clement of Alexandria and others, but also develops the inner coherencies of the Gospels using the mysterious number Seven to link the life-giving actions of the Saviour with his Seven Sacraments – fountains of his Grace.